Add a contemporary style to your home by introducing this beautiful Hampstead 6 Bulb Chandelier. This chandelier has a wonderful design which perfectly combines an elegant and industrial style. 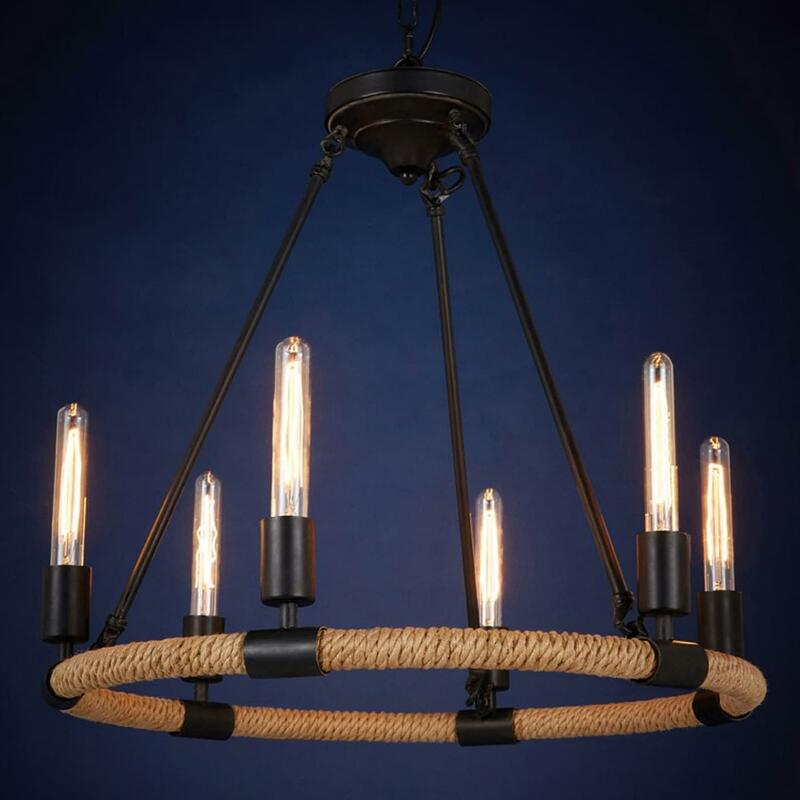 The chandelier's golden rope is held together together a black iron frame, holding up 6 beautiful bulbs that will brighten up any room.